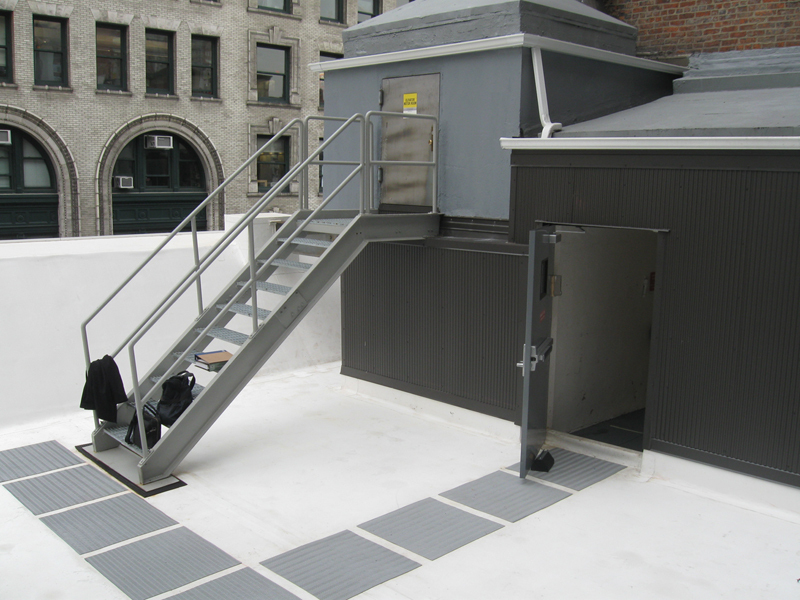 An entire roof replacement was coordinated at 72 Fifth Avenue, home to the administrative offices and classrooms for Parsons School of Design. 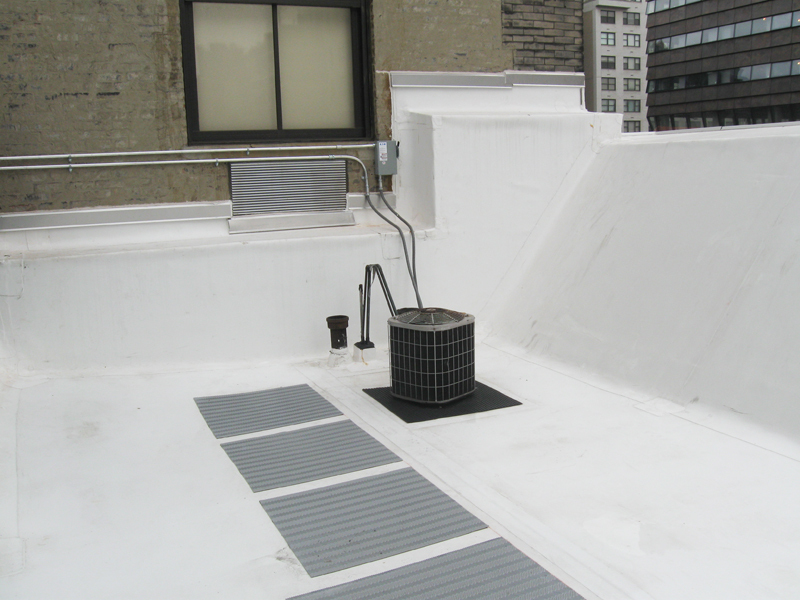 Damaged roofing near various steel structures, an improperly patched skylight replacement, permeated stair and elevator bulkheads, and improper drainage were causing prolonged water collection and leaks throughout the roof. 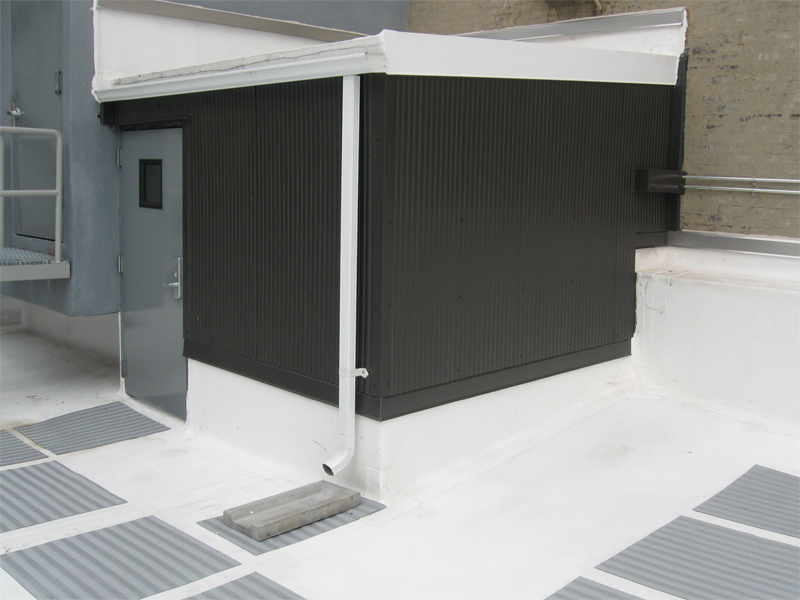 Obsolete mechanical equipment, miscellaneous steel members, and the existing roofing were removed. Custom enclosures were designed to waterproof the remaining steel framing. 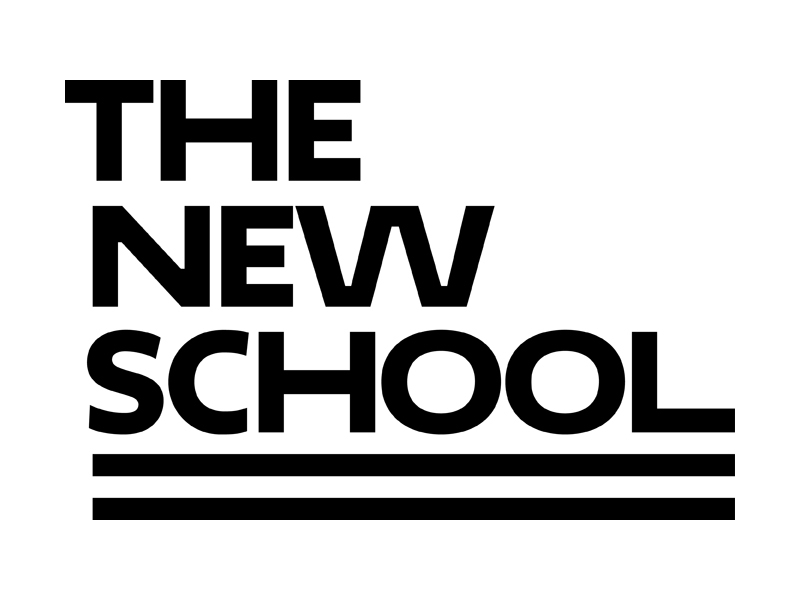 A new T.P.O. membrane roofing system installation created watertight junctions throughout the new roofing and cornice. Re-pitching the roof with tapered insulation and an additional roof drain inhibited the ponding of water. Bulkhead structures received new exterior sheathing; the adjoining brick walls were repointed, and new flashing was installed. The interiors of the bulkheads and equipment rooms were refinished.